Thursday, Jan. 29, 2015, 5:30 – 8:30 p.m. Registration opens later in autumn quarter. Engineering Exploration Night connects engineering alumni and students to discuss engineering careers and fields. 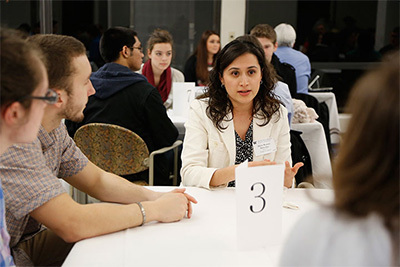 Students meet with a diverse group of industry professionals in a "speed date" format. The event is open to pre-engineers, freshmen and sophomores and includes dinner.